In an attempt to unite the public and private sector, and promote the role of civil society, the Egypt Economic Forum will take place in April 2013. Currently, Foreign Direct Investment in Egypt is going through a very rough time: During Fiscal Year (FY) 2009/2010, Egypt received $6.8 billion of foreign investment, whereas in FY 2011/2012, this number dropped to $1.8 billion. Businessmen, ministries and civil society groups now realize that first of all, one needs to attract more investment, and second of all, that foreign investment is not to be solely depended on. Egypt needs to have a sovereign industry and a business sector that can be depended on, and this will only fall into place with hard work from all groups and divisions of society. The public sector needs to take some load off the private sector, as the latter currently carries 80% of Egypt’s production, and the private sector needs to be supportive of governmental projects and organizations. Another important pillar in this equation is the civil society (NGOs, associations, etc.). In 2009, only 0.3% of Egypt’s business sector was generated by civil society groups, whereas this number in developed countries reaches up to 10%. Therefore, on the 2nd and 3rd of April 2013, the Egyptian Business Development Association (EBDA) and the ASEAN- Egypt Business Association (AEBA) will host the newly founded Egypt Economic Forum (EEF) under the title “EGYPTASIA Economic Summit”. With the support of the Ministry of Investment and the Ministry of Industry, the event will take place annually, in order to promote the business and finance sector, attract Foreign Investment, support tourism, decrease unemployment, and contribute to Egypt’s economic growth map. Speaking at the press conference were Minister of Investment Osama Saleh, EBDA Chairman Hassan Malek, EGYPTASIA President Osama Farid, EGYPTASIA Vice President Karim Helal, and EGYPTASIA Secretary General Muahmmad El Demerdash. All attendees stressed on Egypt’s close-to-perfect natural resources and geographic location, and the need to work on the country’s economic file. They also underlined the reason why Asia has become the primary partner for this year: Asia has fewer privileges than Egypt, but it has used its Human Resources efficiently in order to be where they are now, which is at the top of the pyramid. Currently, Asian investment in Egypt amounts to over $1 billion, with 1,754 Asian companies from seven different countries. The EEF mainly focuses on “importing” the know-how of technology and strategy from Asia, in order to use it and build on it locally. As Hassan Malek is known to be a member of the Muslim Brotherhood, which is presently ruling Egypt, several journalists questioned his intentions behind being part of the event, and whether he will acquire a ministerial post in the near future. Malek replied: “I will not acquire any ministerial post, but I believe that everyone needs to work on Egypt’s future from where they stand. We do not need to be ministers or in political positions to help bring this country forward. Egyptian hands start the real investment and every single Egyptian has a responsibility towards his country.” He also believes that the economic future will be better than its present and that recovery is certain. Most businessmen also agreed that the referendum’s outcome was the best thing that could happen to the business sector, even though several might not agree with what the constitution holds. Passing the constitution gives the region a sense of stability, and with stability comes growth and – naturally – foreign investment. 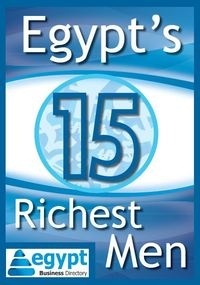 The EEF is planned to be one of the major economic platforms, not only in Egypt, but in the whole Middle East region.